Short on time but want to find some areas on a site you can add immediate value to from a content optimization perspective? Let me show you how to use Google Analytics (along with some other tools), and a Web content audit checklist to identify and prioritize those ideas, fast. The reports I am about to talk about offer only a fraction of the information you can mine in Google Analytics. What I’m suggesting is using the most “accessible” information in analytics as a quick-and-dirty way to prioritize the pages you want to refresh and optimize. Let’s start with the pages on the site that have the most pageviews. A pageview is a view of a page on your site that is being tracked by the analytics tracking code. A pageview is counted even when people reload after they get on that page and also if they navigate away from that page then return to the original page. In Google Analytics, you can see pages with the most views under the content tab, so Content > Overview. You can drill down on individual pages in the top 10 by clicking on the arrow icon to view the page. Content Overview report. Start with pages that have the most pageviews. So start with the top 10 pages – the pages that are getting the most eyeballs. We’re going to analyze them using the following guide to find opportunities to optimize the content on that page (and content in this reference is more than just the text. It’s all the elements and how they interact with one another to make a great Web page – we’ll talk more about that in a minute). Run ranking reports to see if this page is ranking and for what. This is so you have that data going into your optimization. 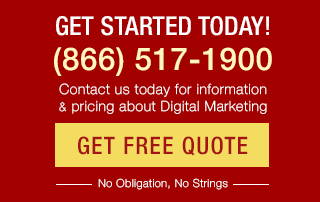 The Bruce Clay, Inc. SEOToolSet has a domain ranking report that can tell you this. Maybe the page is ranking for a keyword that’s not in the Meta information; you can add immediate value by making sure you fill that in. If the page is ranking at all, you want to take care when making changes (for example, if editing the body copy, don’t delete all the keywords!). Define the purpose of this page. Is the content on the page (including the text, images and media and the way it’s laid out) supporting that purpose? If not, how could it do better? Identify any PPC campaigns to the page. Make sure if there are any PPC campaigns pointing to this page as a landing page, it does its best to offer a quality match to what your users are expecting. Ensure the information is useful for the target audience. Of course, this takes some additional research to understand who the audience is and why they are at that page, but for the purposes of this exercise, we’ll assume you know a bit about the audience. 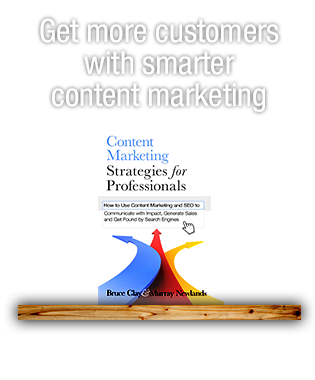 You can also check out an article I wrote for the Content Marketing Institute to mine some questions that help you create content that “speaks” to your audience. Confirm what conversion events are on that page. And don’t forget about microconversions, too. Decide if the page is best supporting conversions. If not, what do you want your users to do when they get to that page and how does your call to action or offering move that along? Are there missed opportunities where an offering might be appropriate, but is not on the page? Sometimes it’s as simple as moving important conversion elements around so they are more visible. Then, make sure your Google Analytics is set up properly in goals to track. Decide if the information on the page is as up to date as possible. First, make sure there isn’t any false information or outdated offerings. Then, find out if the there have been developments in the topic of the page, if it’s an informational Web page). This is especially important when you are dealing with legal or medical information. But also equally as important for user experience as it relates to any topic. If your popular pages aren’t offering the most useful, evergreen information to your users, they aren’t delivering a high-quality experience. Check the links on the page. You can quickly identify broken links with Xenu Link Sleuth, but here, act like a user for a minute and look at all the clickable elements on the page, including videos, banners, etc. Also, is the anchor text still OK? If you’re worried about Penguin’s imapct on your internal linking, Bruce recently told me that he believes internal linking has not been impacted by Google’s Penguin update. Or perhaps it’s your outbound links on this page that need examining. Are you linking to quality sites? If you don’t have any tools to tell you if it’s a quality site, you can use information in the SEO newsletter article I linked to in a previous bullet as a starter. Majestic SEO has a report that offers up a way to examine the quality of a site with its AC rank. The upcoming release of our SEOToolSet (2013) will also have a report that allows you to determine the quality of a page you’re linking to. Find out if the page is duplicated anywhere else. This applies both to duplicate content within the site or on the Web. Eric Enge of Stone Temple Consulting gave some tips on identifying duplicate content last week on the blog. Check it out. Make sure proper Meta tags exist for that page. Are they optimized not only with keywords, but for increased click-through rate in the results? Make sure you are best using that real estate on the SERPs with the snippet that renders from your Meta tags to communicate your value proposition for that page. Ensure the body is optimized well. Ensure the body of the text has the keywords appropriate to the page and that they appear in a natural manner in the text. Think about additional opportunities to add more engaging media. Aside from just the text on the page, what else can you add — like imagery, video and more. Keep your users engaged as best you can when they are on the page, and don’t forget to use Google’s best practices for optimizing multimedia content such as images and videos. Confirm the user can get to the content they are searching for easily. When they land on the page, are users finding what they want right away? Take special care when evaluating distracting items above the fold that causes users to have to scroll to get to what they need. Think about if the page upholds the brand’s identity. This warrants lots of research about the brand, but it’s well worth it to make sure the page best portrays the company that’s hosting it. The brand identity should bleed into everything from the words on the page to the imagery and more. Determine if there are elements on the page where you can use Schema. Rich snippets can help increase click-throughs in the results. Schema also helps with user intent and makes things on your site more findable. While you’re in the content overview report, consider optimizing the pages in the navigational path – those pages the user was at prior and where they went to next. You can apply the same guidelines we just spoke about. To look at that data, select the “navigation summary” tab towards the top of a page when you are looking at individual page URLs. Navigation Summary tab for individual Web pages shows you where your users came from prior and where they went after that page. Under Content > Site Content > Exit Pages, you will find the top-exited pages for the site. Google reminds us that “by default, the graph displays the daily number of exits for those pages that were the last page in the visit.” Even if many of your top-exited pages are the same as the pages with the most pageviews, and even if you’ve run through the entire list already to optimize those pages, there’s still an opportunity to do more. Presumably, the goal is often to get people to spend more time in the site or to further engage with the company even after they leave the site. So use the top-exited pages as a place to offer up engagement long after users have exited. Have social media profiles? Have a newsletter? Have an ebook? Offer something of value to them on those top-exited pages to keep them thinking about your brand. Of course, there’s no reason why you can’t have elements like this on every page of your site. But knowing which pages people are exiting on the most gives you a foundation to be creative and personalized with your offering. Can you match the offering to the topic or intent of the page? 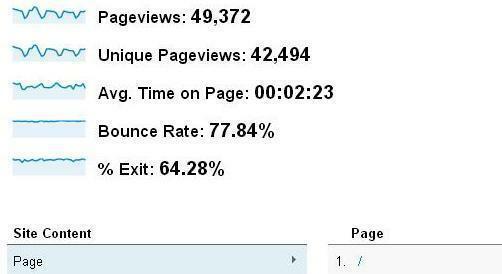 Have a look at your in-page analytics for your top-exited pages. This can show the click data and how people are interacting on the page. Using this data, you can see where areas of interest are (they even have a handy color map for visualizing low- to high-attention areas, as far as clicks go). In-page analytics shows you where people clicked the most on the page, and can be color coded for a neat visual. Then, you can try using Attention Wizard (get 10 heat maps for a penny to start) to do a heat map and eye-tracking overlay to get a sense of where people might be looking on your page. This tool is based on lots of research and an algorithm that simulates the eye path map and areas of concentration, but is not real-time user tracking, so be mindful of how you interpret the results. You can then use this data in conjunction with the in-page analytics to see where there might be logical places on the page to concentrate your efforts. You might then add the Crazy Egg tools to your research, to see things like how far down people scroll on your page. This helps you solidify decisions about where your call to actions should live. Ultimately, after you have implemented the changes you want to individual Web pages, you can start testing to see what your users are telling you about those changes. There are lots of A/B and multivariate testing tools out there. Google Content Experiments is a free tool by Google Analytics and offers a different way to test pages than most – up to five variations of a page. Check out pages that are showing up in the results and driving traffic to your site (note: personalization can play a factor in why rankings are low here; focus in increasing click-throughs). 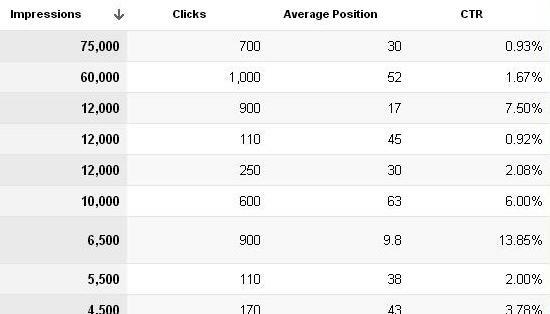 From Google: Here you see the number of impressions and clicks for your top 1,000 pages, as well as the average position for all pages. With this report, you can see which pages drive the most overall traffic to your site and which pages might need content improvements in order to deliver a better click-through rate. With this report, you have an opportunity to optimize those landing pages to get more click-throughs from the results. You might notice that the report shows that some of these landing pages rank very low, yet they are still the pages that drive the most traffic overall. In addition to other factors, I’ve been told that personalization is at play when you see this. On these pages, consider not only going through the optimization guidelines in this post, but taking special care to implement items that will make you stand out in the results like rich snippets and awesome, branded Meta information to increase the click-through rate from the results. 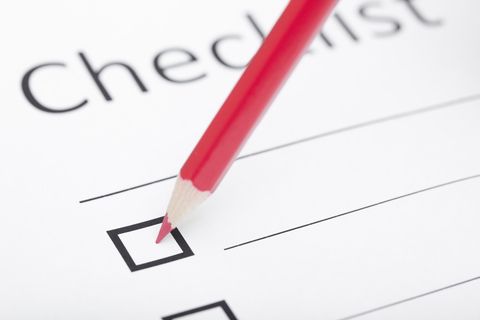 Got your own Web content checklist? Wanna share some tips with us below? 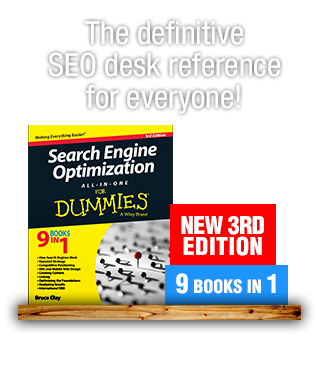 EDITOR’S TIP: Check out our free SEO Tutorial for search engine optimization tips on 18 different topics, step by step. This was such a great post – Thank you for writing it! The tidbit about Personalization on top landing pages really hit home for me. I’ve been wondering about that for awhile. Where do you see the most opportunity for a corporate website to use schema? Great article Jessica! I appreciate that you give a good overview of WHY to do this analysis and optimization, as well as detailed instructions and other resources for HOW to do them. Thanks!